You have almost certainly heard of Loch Ness and its famous inhabitant - Nessie, the Loch Ness Monster. Whether you believe in Nessie or not, no-one can deny that Loch Ness is beautiful and many people would say that the quieter south side of the loch is the more spectacular side. In spring, the woods and grass verges on this side are a mass of yellow primroses, then later there are bluebells to admire followed by the brilliant yellow of gorse bushes. 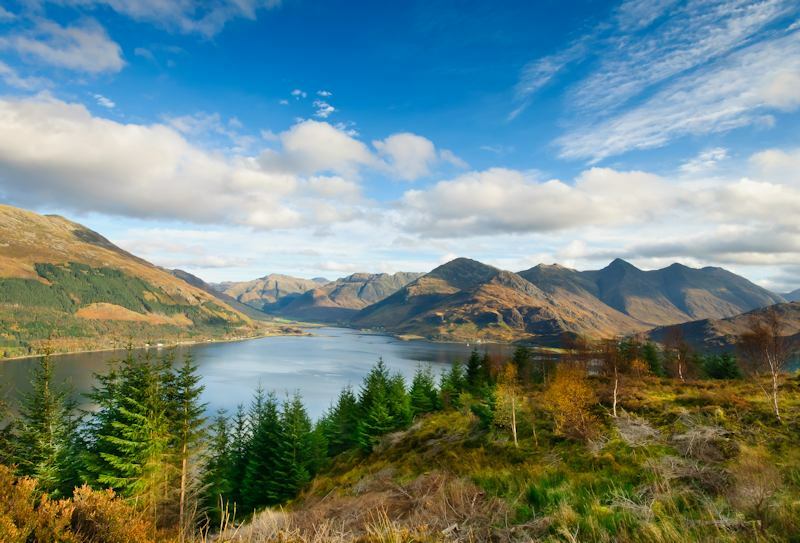 To do the complete 60-mile circular tour around the loch makes an excellent drive with more opportunities to wander along the water’s edge and take photographs on the south shore. However, the much photographed Urquhart Castle is on the other side, so why not do the drive right round and decide for yourself which you prefer? 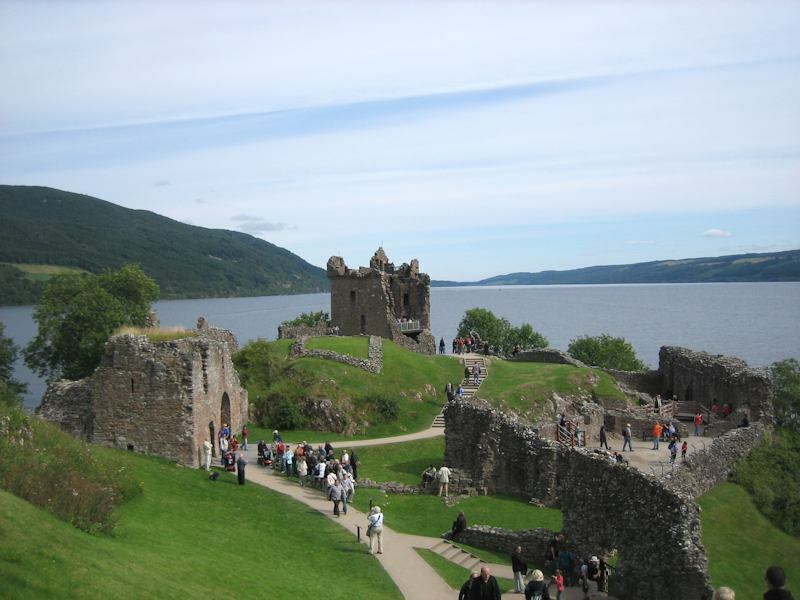 The best views of Urquhart Castle are from the Inverness to Drumnadrochit road (the A82). Drumnadrochit is home to two monster exhibitions (fun for the children). Under the care of Historic Scotland, the castle itself is open to visitors daily. It sits 1½ miles from the village in a commanding position overlooking Loch Ness. A mile through “Drum”, at the crossroads you can turn right into West Lewiston, a village lane lined with old cottages. 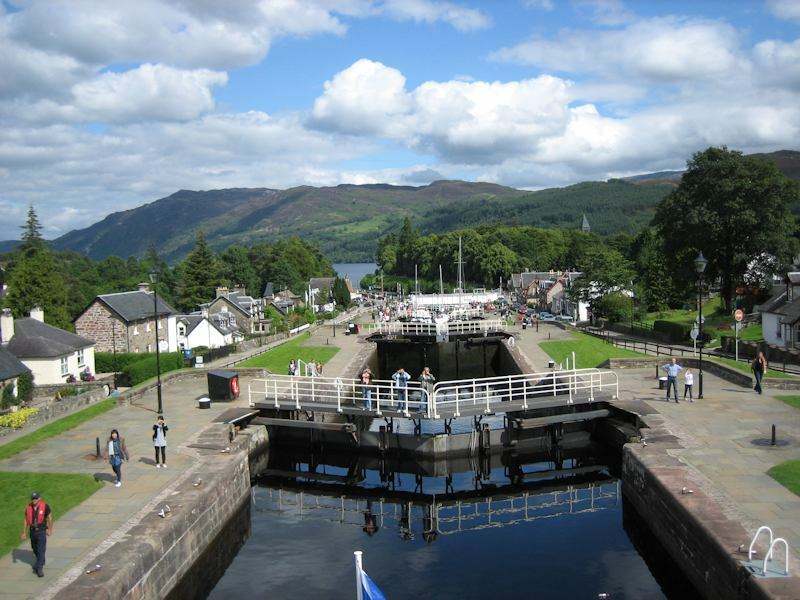 Fort Augustus is a pretty little town with a series of locks which lower boats on the canal down into Loch Ness. The Caledonian Canal itself is a means of transport all the way from Fort William on the west coast. Its towpaths are ideal for cycling and walking. Returning up the other side of the Loch, there is a splendid viewpoint at Suidhe Chumein on the B862 Fort Augustus to Whitebridge road. At Inverfarigaig there are very pleasant forest trails with views over Loch Ness. In the middle of Foyers is a sign to the Falls. It’s a fairly steep track which can get slippery after rain but it’s worth making the effort for the pretty views and the 140-ft waterfall. If you spot the occasional thick rope over the road about 20 feet high, you may be interested to know that these are to help red squirrels cross from one side to the other without becoming road casualties! There is a nice little inn at the village at Dores where you can get refreshments or wander along the pebble beach. 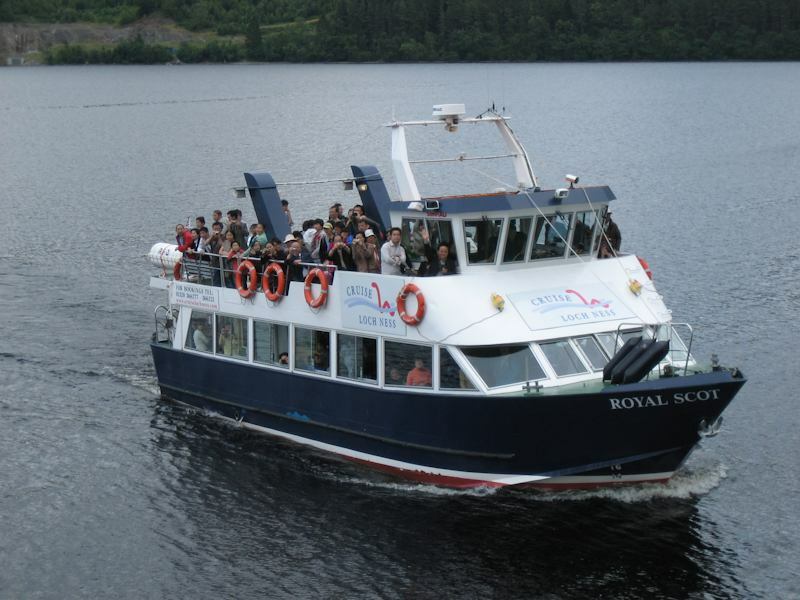 An alternative to driving might be to take one of the Loch Ness cruises from Inverness, Drumnadrochit and Fort Augustus or one of the combined cruise/coach tours from Inverness.